Do not take this note as a letter of transmittal just because it happens to accompany the memory book. I am simply taking advantage of the distribution of the Alaska memory book to attempt to get a personal word to each of you. On the occasion of my detachment, on January seventh, I took the opportunity to try to express to those of you who were present, my appreciation for a number of things. Not only were my words inadequate, but also there were so many of you absent, due to discharge or being on leave, that it was impossible to get the word to most of you. This letter also is bound to fail to express the depth of my feelings, but I want each of you to have it, to convey to you in some small measure the appreciation I feel for the things you have done. I had command of the Alaska nearly a year, the major portion of it being during the war. 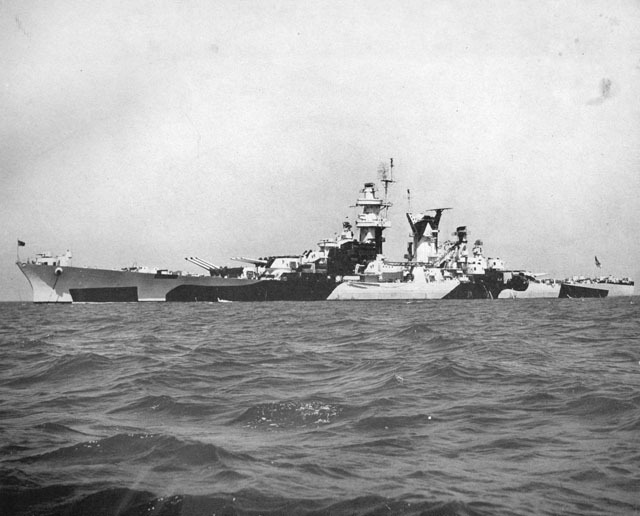 Early in that period I became convinced that the Alaska was the finest ship in the Navy. And by "ship" I do not mean simply the vessel that floated and steamed and on which we lived and worked. "A fine ship" is principally the product of the enlisted men and officers who man her. The organization and co-operation on the Alaska were superb. The excellence of organization was due principally to the original commanding officer, executive officer and heads of departments. But what made the organization work so smoothly was the co-operation and loyalty of all hands. As I stated on the occasion of my detachment, I doubt if any captain of any ship in wartime ever had an easier job than mine as commanding officer of the Alaska. This was due to that unfailing loyalty and co-operation, and I know that I can never have another command of which I will be prouder than of the Alaska. So I want to thank each of you for your contribution to the excellence of that fine ship, and I also want to thank all of you for the beautiful tokens of your esteem and reminders of our associations, that were presented to me on my detachment. They are beautiful gifts, and I shall treasure them always. As I stated also on January the seventh, my memory for names and faces is disgracefully poor. Besides, .what with the size of the ship, the number of the crew, and my spending so much time on the bridge, there are many of you whom I never saw, except in passing during inspections. So I hope that any of you who might by chance see me on a train, in a station, or wherever it may be-will come up and speak to me as an old shipmate of the Alaska. To those of you who still are in the service, I hope that you have had opportunities to be with your families and friends. To those who have received their discharges, I hope that you are all settled in your homes. And to all of you, I wish success and happiness.